Code Green integrates IoT (Internet of Things) programming and app development with urban agriculture. Currently in the pilot phase as a collaborative project with Benjamin E. Mayes High School in Atlanta, Ga, the project aims to integrate coding in existing Environmental Science classes. 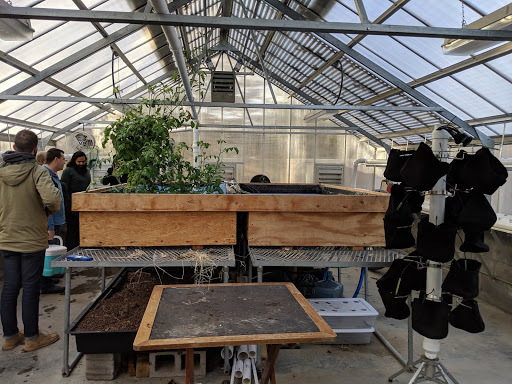 The students at Benjamin Mayes already have an extensive greenhouse and aquaponic setup for which they wish to be able to monitor various conditions in real-time. Based on feedback from students, Bija has created a curriculum which utilizes microcontroller programming and web development so that students will be able to program various sensors. 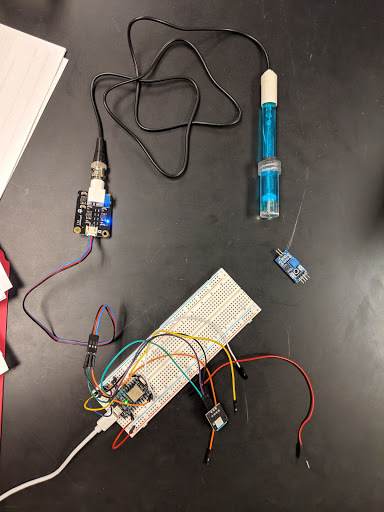 These sensors will be used to monitor the aquaponic system, allowing students to incorporate these measurements into their normal Environmental Science calculations. Thus, this project, dubbed Code Green as a comment on the world’s precarious position in relation to environmental crisis, is taking a radical approach to teaching coding and technology as a key tool for individuals to actualize their goals – a means to an end rather than the end goal itself. Specifically, the Code Green curriculum is teaching students to integrate cost-effective sensor devices in the greenhouse powered by small Arduino IoT devices, through which the data received from the system will be monitored, uploaded to the cloud, and then visualized through apps developed by the students. Each kit, utilized by students in groups of 2-3, has a net cost under $100. Code Green aspires to increase diversity in Tech and interest in sustainable agriculture projects by taking a hands-on approach with students. Our goal is not to teach full stack development, but rather expose students to an objective-based curriculum through which they will be empowered to learn how to accomplish their goals. The capacity for the adolescent mind to create and learn is astounding. Code Green focuses on teaching students some basics in an active learning approach in coordination with utilizing online resources to self learn, in order to pique interest so students can realize what they are capable of accomplishing. Thanks to the students’ passionate work and devotion, the greenhouse has been providing kale and other produce that has been used in the school’s cafeteria. Observing the immediate impact of their work inspires the students to expand and improve the conditions of the greenhouse, while simultaneously motivating other students to get involved. The on-site greenhouse puts students in control of their own food production, a process which many people are completely removed from. It is Bija’s eventual aim to expand the project to more schools and communities after the pilot phase, providing schools with resources to start their own greenhouses as well if required.